As we drove to Lake Havasu City from the Grand Canyon, Mike’s mom informed us that she had a surprise for us along the way. As we drove along the interstate through the gorgeous landscapes of Arizona a million thoughts ran through my head. What could it possibly be?! 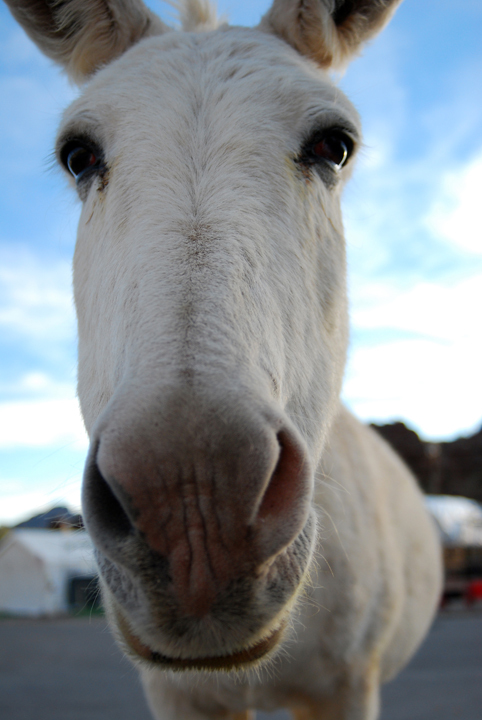 We took an exit off the interstate to the Oatman Highway… and there it was: a sign saying Historic Route 66. This was not in fact the surprise. In fact she was surprised that I even knew of Route 66, let alone nearly lost my mind out of sheer excitement (it has since become one of my goals to see the whole route, though most likely in small installments). I learned about it in the podcast Stuff You Should Know.